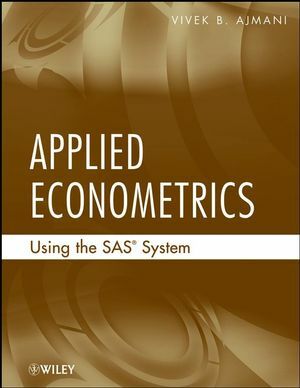 Applied Econometrics Using the SAS® System is the first book of its kind to treat the analysis of basic econometric data using SAS®, one of the most commonly used software tools among today's statisticians in business and industry. This book thoroughly examines econometric methods and discusses how data collected in economic studies can easily be analyzed using the SAS® system. Assuming only a working knowledge of SAS®, this book is a one-stop reference for using the software to analyze econometric data. Additional features include complete SAS® code, Proc IML routines plus a tutorial on Proc IML, and an appendix with additional programs and data sets. Applied Econometrics Using the SAS® System serves as a relevant and valuable reference for practitioners in the fields of business, economics, and finance. 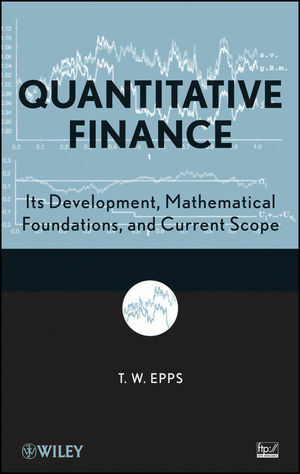 In addition, most students of econometrics are taught using GAUSS and STATA, yet SAS® is the standard in the working world; therefore, this book is an ideal supplement for upper-undergraduate and graduate courses in statistics, economics, and other social sciences since it prepares readers for real-world careers. Vivek B. Ajmani, PhD, is Senior Marketing Analyst at U.S. Bank in St. Paul, Minnesota, where he applies econometric modeling, data mining, and predictive modeling techniques to his work with innovative banking products and solutions. Dr. Ajmani has also held positions at Ameriprise Financial, General Mills, Intel Corporation, and the 3M Company, and he has received honors for his use of statistics in the development of quality products. 1 Introduction to Regression Analysis. 1.2 Matrix Form of the Multiple Regression Model. 1.3 Basic Theory of Least Squares. 1.7 Hypothesis Testing and Confidence Intervals. 2 Regression Analysis Using Proc IML and Proc Reg. 2.2 Regression Analysis Using Proc IML. 2.3 Analyzing the Data Using Proc Reg. 2.4 Extending the Investment Equation Model to the Complete Data Set. 2.7 Predictions of the Dependent Variable. 3.2 Using SAS to Conduct the General Linear Hypothesis. 3.3 The Restricted Least Squares Estimator. 3.4 Alternative Methods of Testing the General Linear Hypothesis. 3.5 Testing for Structural Breaks in Data. 3.7 Models with Dummy Variables. 5 Nonspherical Disturbances and Heteroscedasticity. 5.4 Formal Hypothesis Tests to Detect Heteroscedasticity. 5.5 Estimation of b Revisited. 5.6 Weighted Least Squares and FGLS Estimation. 6.2 Problems Associated with OLS Estimation Under Autocorrelation. 6.3 Estimation Under the Assumption of Serial Correlation. 6.5 Using SAS to Fit the AR Models. 7.1 What is Panel Data? 7.3 The Pooled Regression Model. 8 Systems of Regression Equations. 8.2 Estimation Using Generalized Least Squares. 8.3 Special Cases of the Seemingly Unrelated Regression Model. 8.4 Feasible Generalized Least Squares. 9.2 Problems with OLS Estimation. 9.3 Structural and Reduced Form Equations. 9.4 The Problem of Identification. 9.5 Estimation of Simultaneous Equation Models. 11.2 Failure Times and Censoring. 11.3 The Survival and Hazard Functions. 11.4 Commonly Used Distribution Functions in Duration Analysis. 11.5 Regression Analysis with Duration Data. 12.1 Iterative FGLS Estimation Under Heteroscedasticity. 12.2 Maximum Likelihood Estimation Under Heteroscedasticity. 12.5 Hausman–Taylor Estimator for the Random Effects Model. 12.6 Robust Estimation of Covariance Matrices in Panel Data. 12.7 Dynamic Panel Data Models. 12.8 Heterogeneity and Autocorrelation in Panel Data Models. 12.9 Autocorrelation in Panel Data. Appendix A Basic Matrix Algebra for Econometrics. Appendix C Simulating the Large Sample Properties of the OLS Estimators. Appendix D Introduction to Bootstrap Estimation. Appendix E Complete Programs and Proc IML Routines. This supplemental text is a handy guide for researchers, students, and practitioners on the fundamentals of econometric theory and more importantly, it provides complete SAS code for analyzing data from various studies where econometric data is collected. This text is a great supplement to some of the standard econometric texts that are currently used in academia, since the standard econometric texts rarely offer guidelines on how to analyze data using standard software. While most students of econometrics are taught through the use of GAUSS and STATA, statisticians and econometricians in industry find that the use of SAS for the analysis of econometric data is the standard. This book better prepares students for their careers in industry, and it also is the only available guide for professionals in the field of econometrics who use SAS. Written by a proficient SAS user, the book includes thorough coverage of econometric data analysis problems programmed in SAS as well as some limited coverage of SAS IML. SAS IML is used only when the need arises.